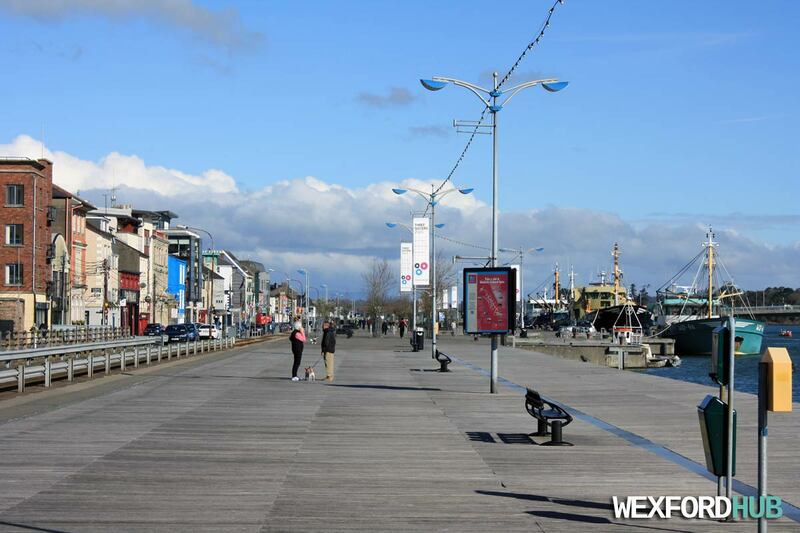 The boardwalk on Wexford Quay is a popular place for people to take a stroll and walk their dogs, especially on lazy Sunday mornings when the weather is fine. Here, two people stop to have a quick chat with one another. This photograph was taken on Sunday, the 24th of April, 2016. 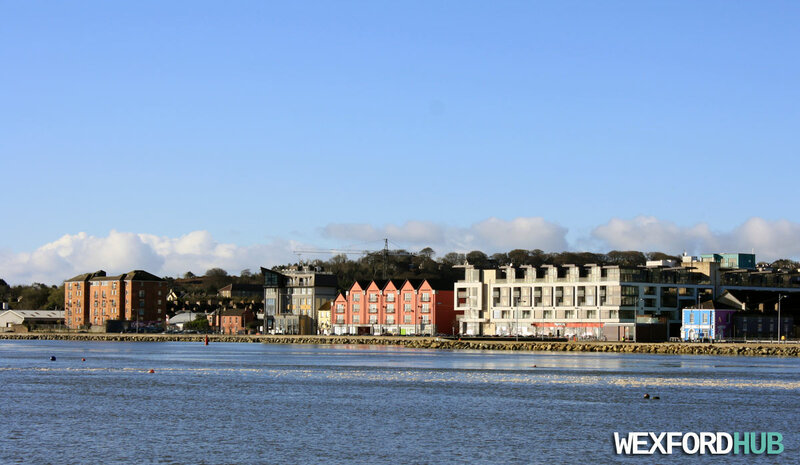 A photograph of the Paul Quay / Stonebridge area of Wexford town, as seen from Ferrybank. In the distance, you can make out the Talbot Hotel, Seascape Apartments, Pierce Court, TK Maxx and the large Stonebridge development, which was recently purchased by Talbot Hotel (Talbot Suites at Stonebridge). This was taken on a cold Saturday morning in April of 2016. 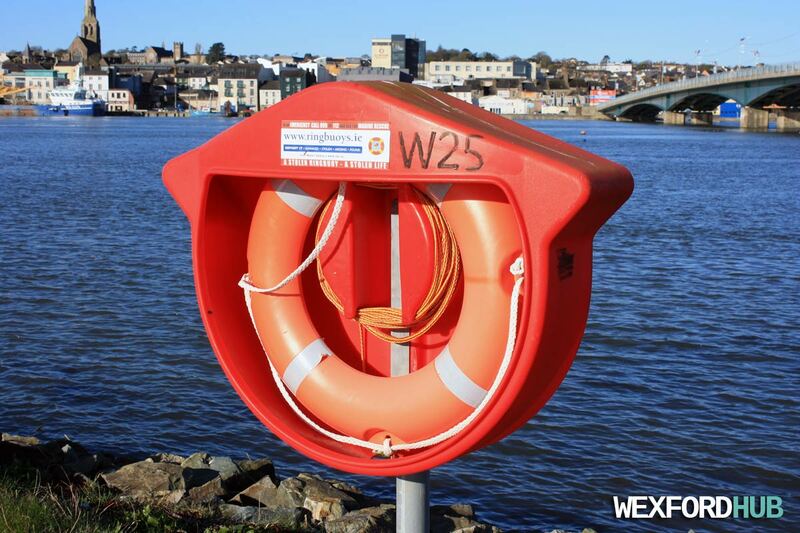 A photograph of a ringbuoy / lifebuoy overlooking Wexford Quay. This shot was taken from Ferrybank on Saturday, the 9th of April, 2016. In the background, you can see Wexford Bridge and Clayton Whites Hotel.